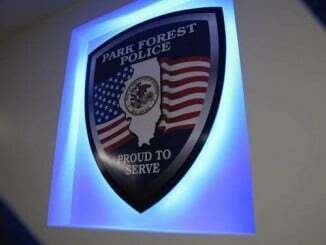 An officer was dispatched to the Park Forest Police Department on April 21 at 1:46 PM. 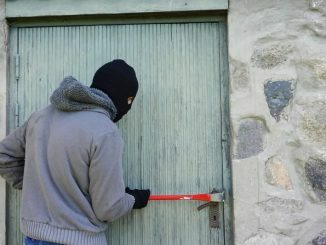 A resident reported a burglary to a motor vehicle that had occurred the night before. According to police, the resident parked his vehicle in front of his residence in the 100 block of Shabbona Drive at 6 PM on April 20. He reported that he was certain that he locked his vehicle with the remote upon exiting. On April 21, between 9:30 AM and 9:45 AM the resident walked to his vehicle and found the driver’s side door closed but unlocked. He could not get the vehicle to start until he reactivated and disarmed the vehicle’s alarm system with the remote. Believing it was a malfunction with the alarm, and since nothing appeared out of place, he drove to work. However, while driving, he felt something hitting his foot from underneath the dashboard from above the pedals. When he looked under the dashboard, he found that plastic covers were missing. Nothing else appeared to be missing or disturbed inside the vehicle. There was no additional damage to the vehicle. The case was turned over to the investigations division. 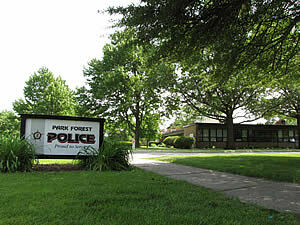 On April 21 at 10:17 AM, an officer was dispatched to the Park Forest Police Department lobby in reference to a walk-in complaint of a delayed burglary. The owner of a residence in the 400 block of Tamarack Street told police that the lockbox put in place by a realtor had been damaged and the keys inside had been taken. Police are investigating. An officer was dispatched to the 100 block of North Arbor Trail to investigate a report of theft on April 23. According to police, between 3:45 PM and 4 PM, the resident arrived at that address and parked in the circle driveway. She unloaded her recently purchased groceries from her vehicle, placing them on the bench in the lobby of 133 N. Arbor Trail. She then parked her vehicle in the parking lot and returned to the lobby to retrieve her groceries. It was that time that she observed that someone had stolen most of the groceries. Police are investigating. Isaac Scott, 24, 8443 S. Constance Ave., Chicago, was arrested on April 24 and charged with one count of unlawful use of a weapon (no FOID), driving while license was suspended, use of a cell phone while driving, and no front registration plate. According to police, officers were traveling westbound on Sauk Trail when they observed a subject, later identified as Isaac R. Scott, on his cellular telephone in the left hand turn lane facing east bound on Sauk Trail. As the left arrow changed to green, an officer observed Scott, still using his cellular telephone, turn left. The officer curbed the vehicle on the west side of Rich East High School, just north of the main entrance. Police learned that Scott had a suspended driver’s license. When police searched the vehicle, they found a loaded .40 caliber Springfield XDM semi-automatic handgun underneath the driver’s seat, with one round in the chamber and an additional 10 rounds in the magazine. Police inquired as to whether Scott had a valid Firearms Owner Identification Card. Scott advised that he did not have a card, according to police. An officer was dispatched to the 100 block of Indianwood Boulevard to investigate a report of criminal damage to property. Police spoke with a resident who said that upon entering the home, she observed that the east side door to the residence was unsecured and the door frame damaged. Police observed that the east side door was sagging from the door frame with only the top hinge of the door still attached to the frame. Nothing appeared to be missing from the residence. Police are investigating.